You will find us in the inner city of Munich between Isartor and Marienplatz. Coming from Tal we will be at the far end of the Böhmler passageway. 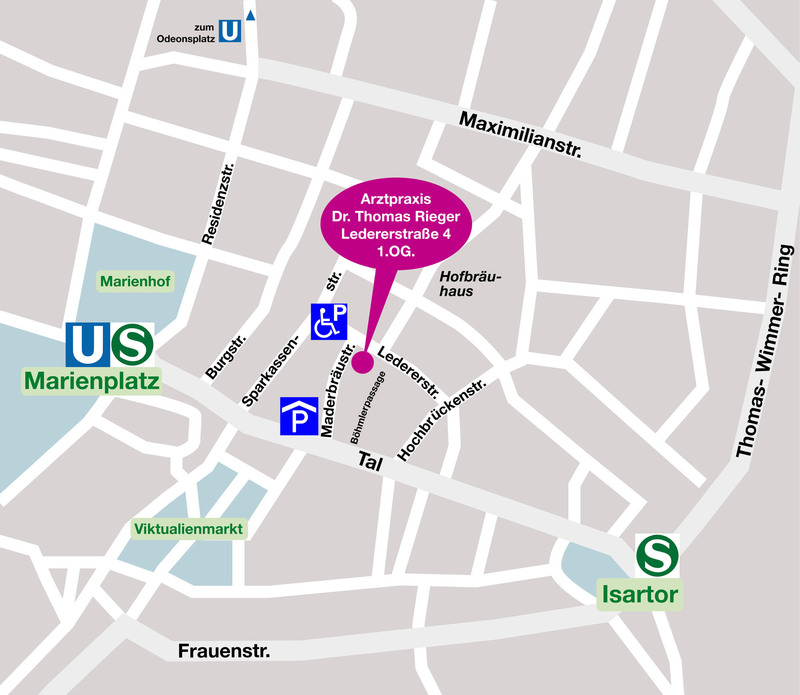 Coming from Ledererstrasse we are right on the 1st floor of the doctors’ building above the pharmacy. 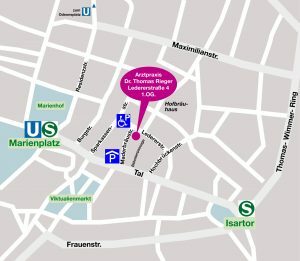 There is a public car park next to the Sparkasse in Maderbräustrasse and a parking space for the disabled at the corner Maderbräu-/Ledererstrasse.